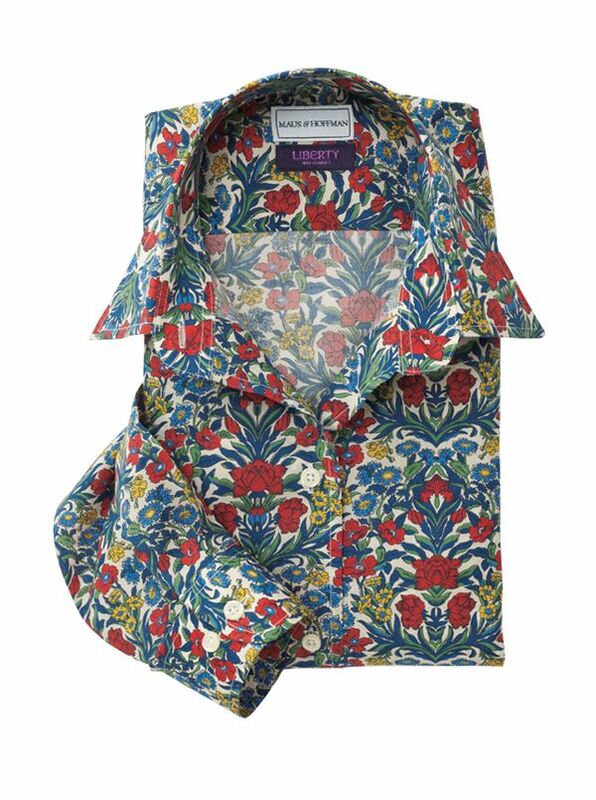 Large Floral Liberty of London Cotton Blouses are treasured for their wonderful patterns and rich colors. All are tailored in America of Libertys Tana Lawn, a smooth, lightweight pure cotton that is just as comfortable as it is beautiful. With long sleeves, button cuffs, soft point collar.Liberty Tana Lawn was introduced in the late 1920s, a super fine and strong Egyptian cotton with a silk like finish, it is recognised globally as 'Liberty Tana Lawn' , typically printed with small colorful floral designs.